Why did Jesus give us the Lord’s Supper? Why did Jesus command it to be kept? What are it’s benefits? Is the Lord’s Supper a Supernatural event? 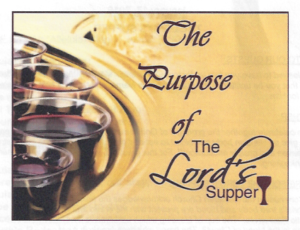 Listen for these questions and answers about for “What Is The Purpose of The Lord’s Supper?”, below in the 1-part Video , or the one-part MP3 Audio Sermon.